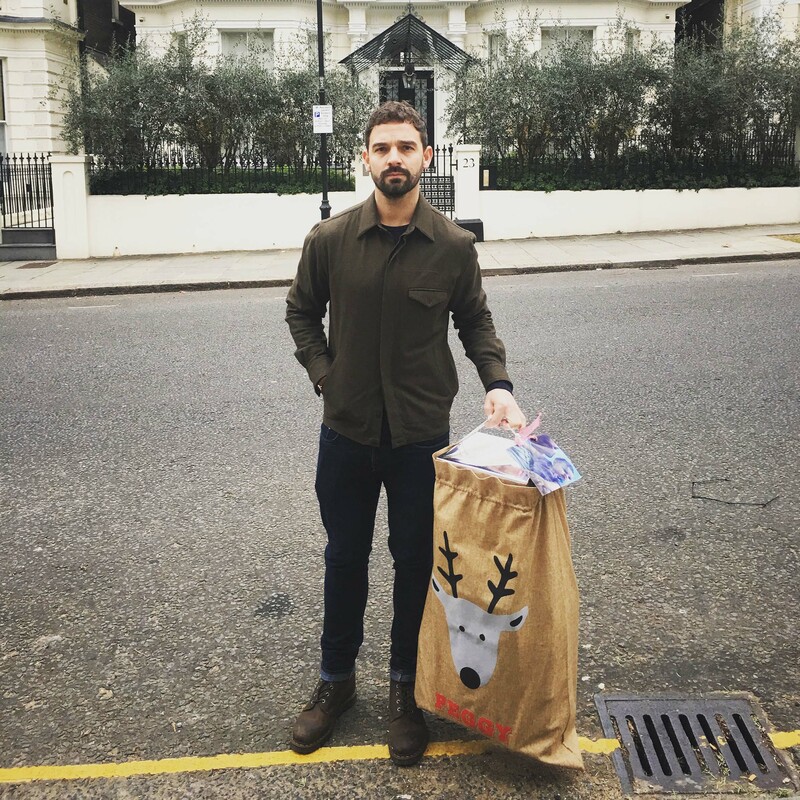 David Beckham’s sister’s ex has visited the star’s London mansion to belatedly deliver his daughter’s Christmas presents after being denied access to her in breach of a court order – including contact on Christmas Eve. 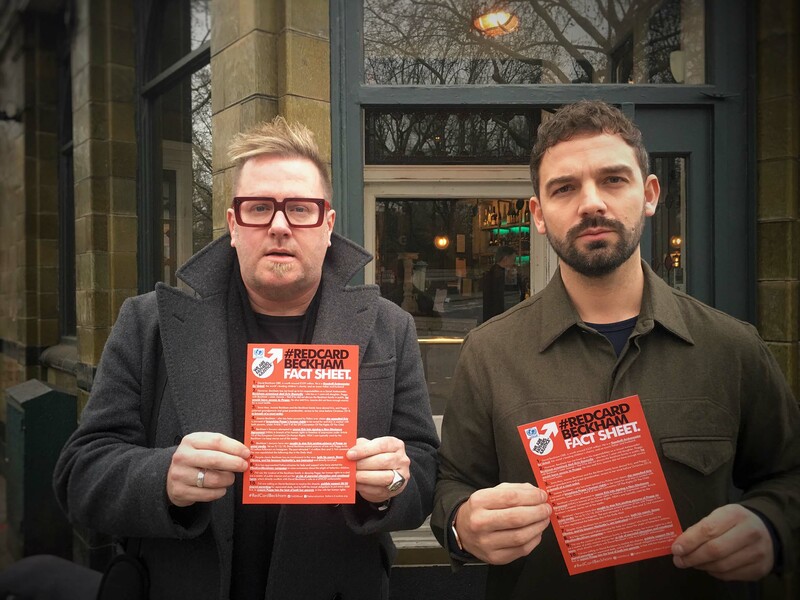 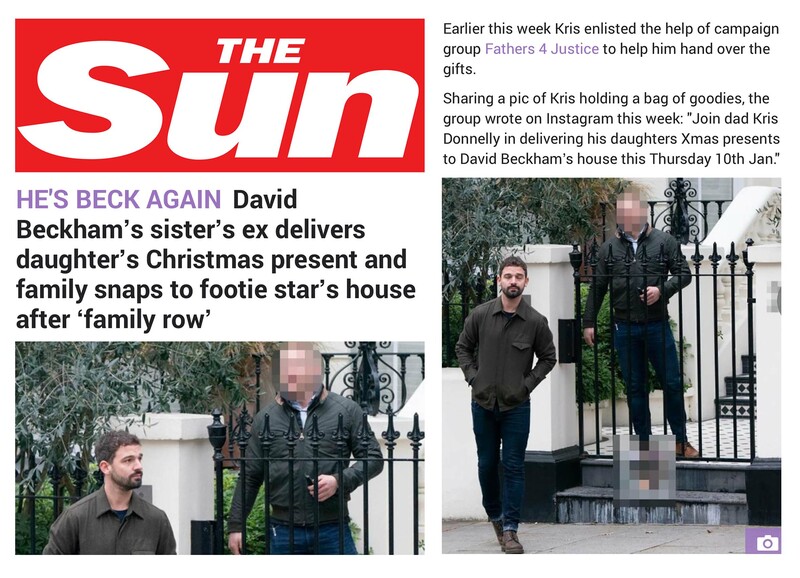 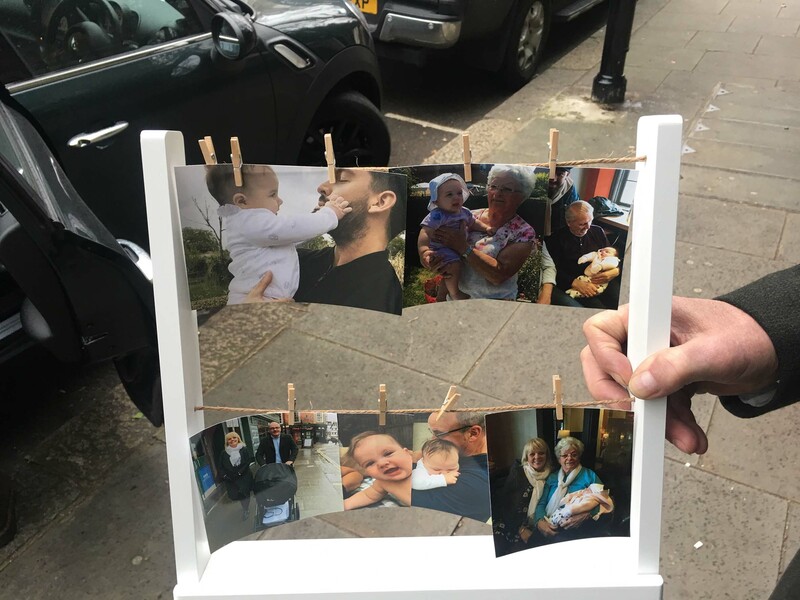 Supported by his dad, and Fathers4Justice founder Matt O’Connor, Kris was met by one of Beckham’s security team who accepted the presents before Kris returned to symbolically leave pictures of his daughter Peggy on the star’s doorstep. 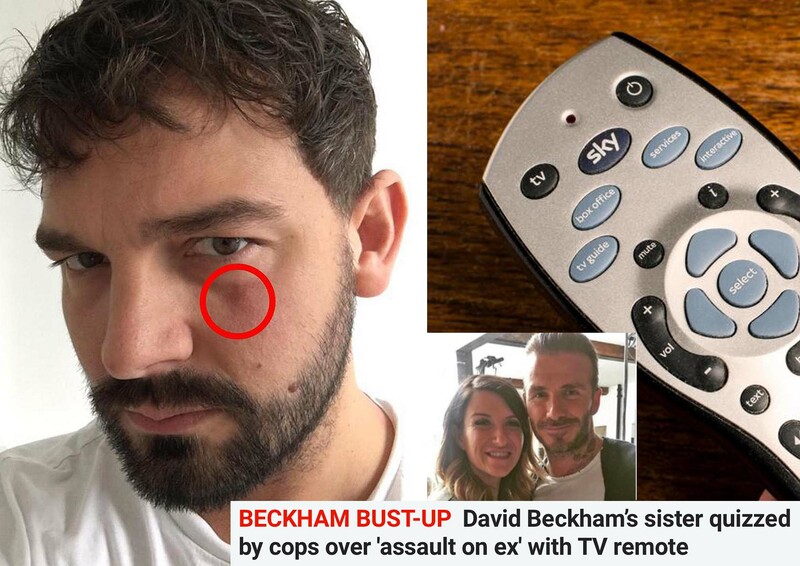 Just days earlier it was revealed Beckham’s sister Joanne, had been quizzed by cops over an assault on Kris. 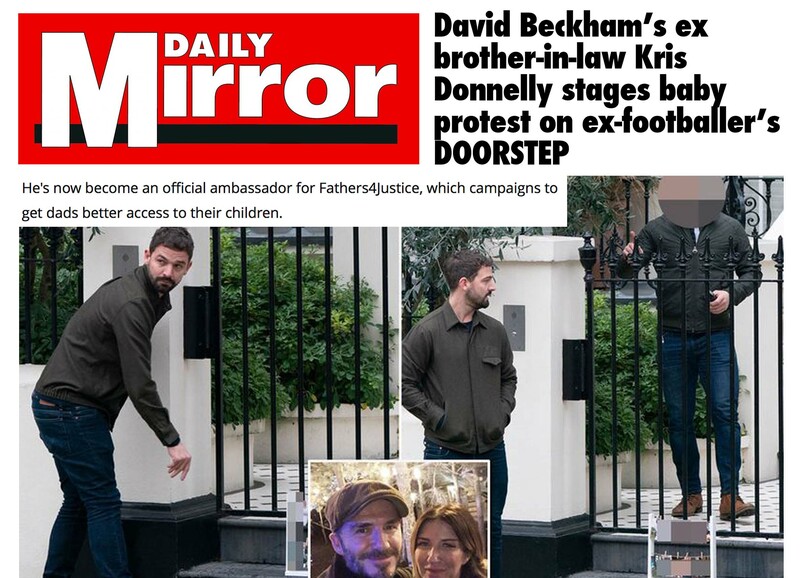 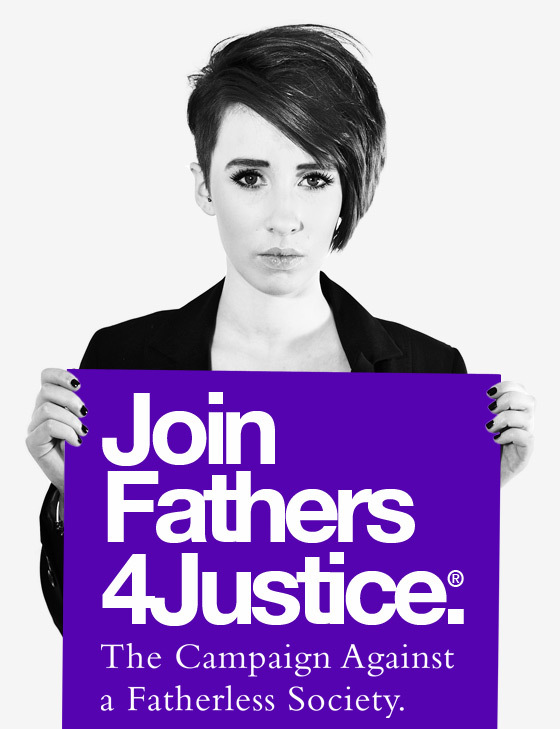 Kris, who approached Fathers4Justice for support last year, and has now become an official ambassador for the campaign, says David Beckham broke a promise to ensure he would see his daughter, is funding his sisters legal action, and has involved his agent and lawyers in an attempt to silence him. 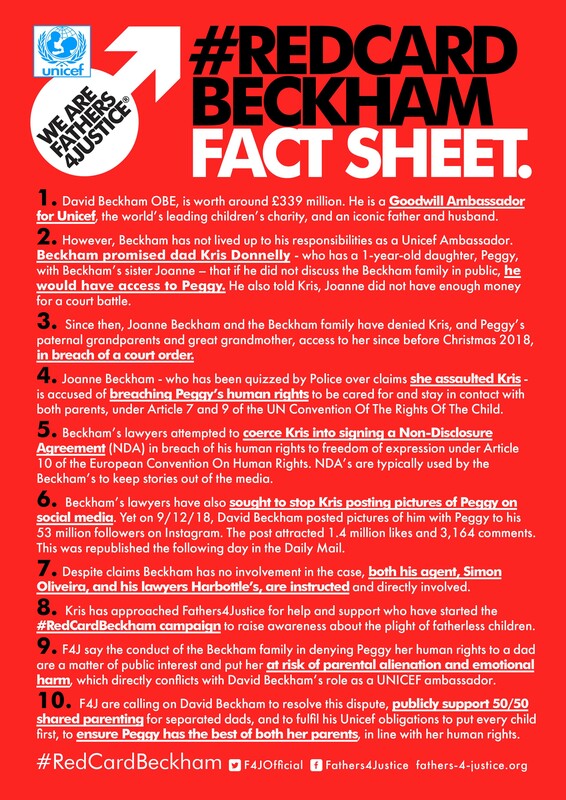 The group have set up the #RedCardBeckham campaign and produced a fact sheet about the case.